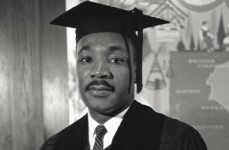 What was Martin Luther King, Jr. like in School? Hear David Briddell describe what Dr. Martin Luther King, Jr. was like in School. A friend and classmate, Briddell describes the young MLK’s study habits and how, even then, he seem to possess a faint vision of the man he would become.